Many in Kathmandu fondly remember the green trolley buses that used to ply the 13 km Tripureswor-Suryabinayak route for nearly three decades. They were clean, comfortable, convenient and way ahead of their time when introduced in 1975. Poor management caused the Chinese-built service to be scrapped, and all that remains are the rusting hulks of the buses in the Baneswor terminal. But although Kathmandu’s iconic trolley buses are gone, and their electric poles uprooted, efforts have resumed to restore electric public transport. 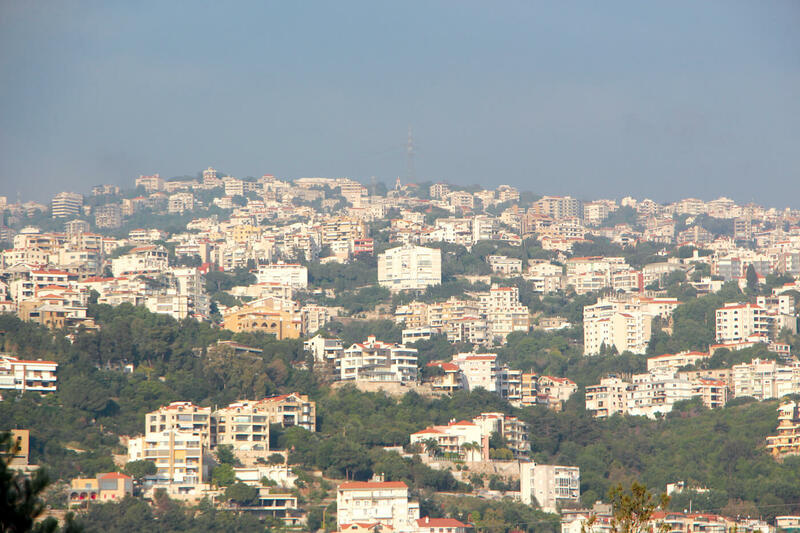 The government started looking at the possibility of battery-powered buses during the 2015 Blockade. Government officials visited China, while Chinese bus manufacturers and a European company specialising in converting diesel buses to electric came to Kathmandu to explore possibilities of working with Sajha Yatayat bus cooperative. The stumbling block was the high upfront cost. But with improvements in lithium ion technology and the price of storage batteries plummeting, electric buses are no longer looking unaffordable. Sajha Yatayat, is working with the Global Green Growth Institute (GGGI) an inter-governmental organisation headquartered in South Korea, to prepare a pre-feasibility study of electric buses in Kathmandu. Early findings show that although electric buses are expensive compared to the normal diesel ones, the operation and maintenance costs are significantly lower. If socio-economic and environmental benefits are factored into the equation, the total life cycle cost of electric buses is less than that for diesel ones. For example, the initial cost of a BYD Auto K-7 e-bus is about Rs20 million, but a similar sized diesel bus would cost only Rs3 million. However, fuel costs for the e-bus may be only about 10% and maintenance costs half of that for a diesel bus. 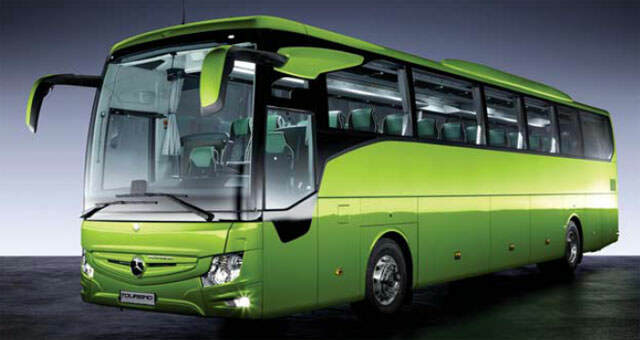 The study indicates that several full-size electric buses are viable for Sajha Yatayat’s intra-city routes, including those made by Ashok Leyland in India and China’s BYD Auto. The plans will be discussed at a workshop titled ‘Moving Forward with Electric Mobility in Nepal’ to be held on 6 February at the Himalaya Hotel. 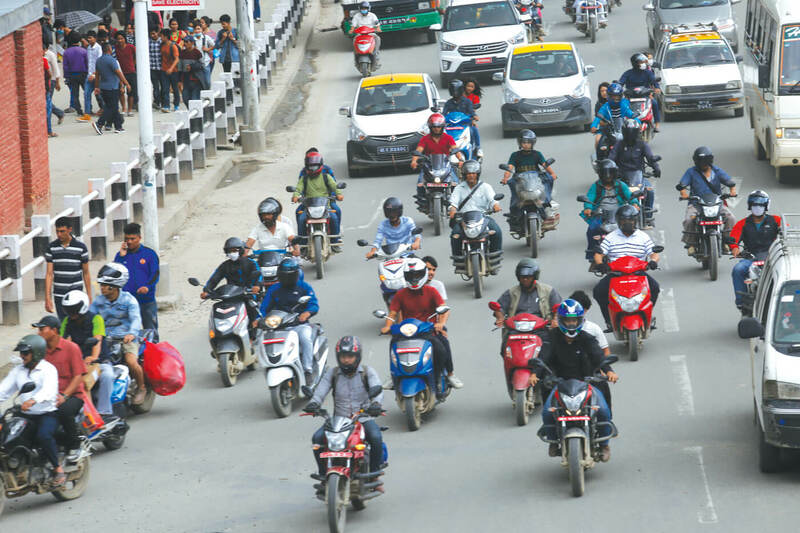 The total number of registered vehicles in Nepal is growing at an alarming 14% per year since 1990 – mostly of two-wheelers, which now make up 80% of all vehicles. The share of buses, however, had fallen from 11% of total vehicles in 1990 to only 3% by 2015. There are over 46,000 diesel buses in Nepal, with almost a quarter of them registered in Bagmati Zone that includes Kathmandu Valley. Because they are old or poorly maintained, each full-size bus emits 40kg of particulate matter into the air making Kathmandu one of the most polluted cities in the world. Nepal’s annual greenhouse gas emissions from surface transport was 716 kilotons in 1995, and this had risen to 3,170 kilotons by 2013. 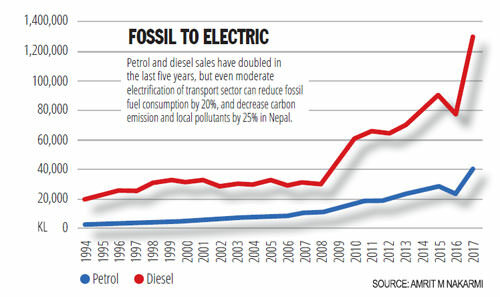 Nepal’s carbon footprint is still small, but grew 22% between 2007-13. Petroleum imports constitute 60% of imports, and rose three-fold in the last five years. An estimated 9,943 Nepalis die prematurely every year due to outdoor air pollution, according to World Health Organization. Even moderate levels of electrification of the transport sector can reduce Nepal’s fuel consumption by up to 20%, and decrease greenhouse gas emission and local pollutants by 25% over upcoming decades. The government has put in place a range of policies, including fiscal incentives, to stimulate electrification of public transportation. Kathmandu already has small electric public vehicles such as the Safa Tempos introduced 20 years ago, and an increasing number of private e-cars. 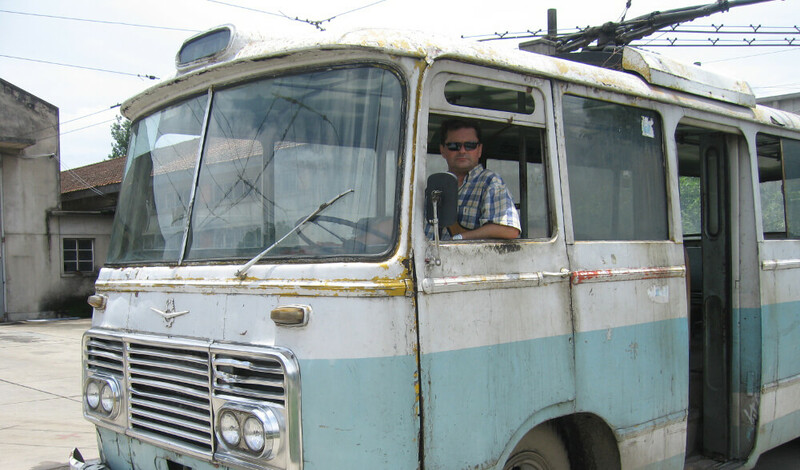 The next challenge is buses. As all existing buses run on diesel,converting bus fleets to electric can be a game changer for improving Kathmandu’s air. Schenzen in China has converted its entire fleet of 16,359 public buses to electric and many cities are following this lead. While Kathmandu still has a long way to go, Sajha Yatatyat and GGGI’s partnership may be a first step in this direction. More importantly, it may continue the pioneering achievement of trolley buses over 40 years ago and bring a breath of fresh air to Kathmandu. Bhushan Tuladhar is with Sajha Yatayat.